Ok, so I need to get this ball rolling with a few posts tonite! I am SERIOUSLY slacking here…..I figure I would start off with my 31 Day Challenge post seeing as how that’s the shortest one :). I’m doing Day 4 I believe?? This is sad..I am so far behind I am losing track. Well whichever number I am at, I know I’m at green nails. I opted not to go for the straight green as my mind told me before. 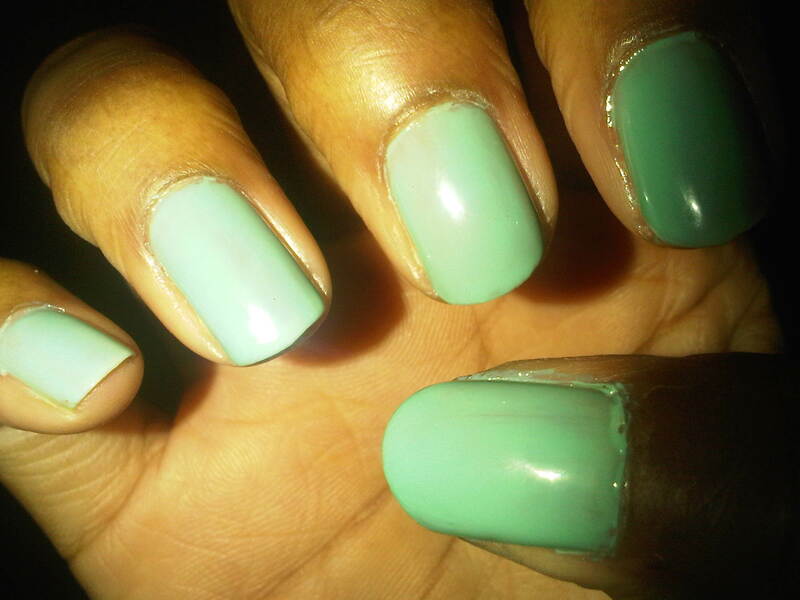 Instead I chose one of my favorite shades, which is Mint Green. 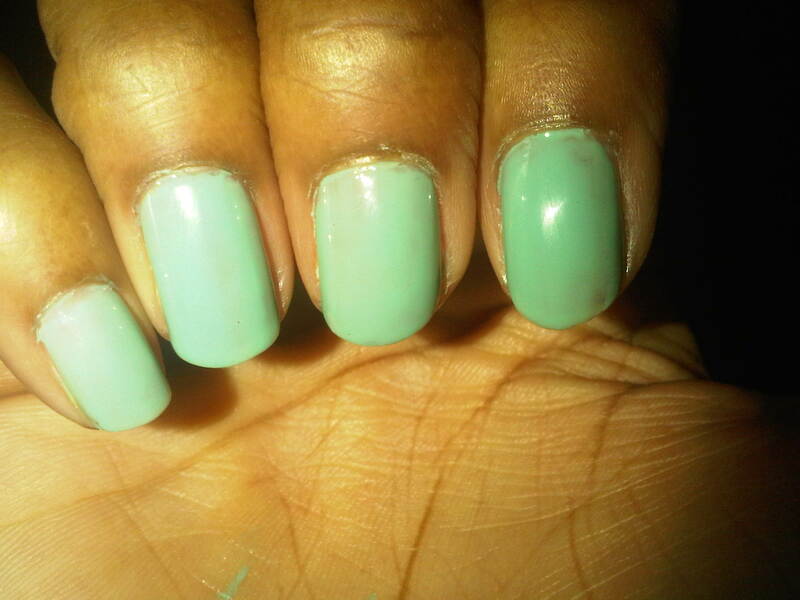 Quite puzzling to me however is this…..my nails are closer to a creamy mint, but the name of the polish hints towards turquoise?? 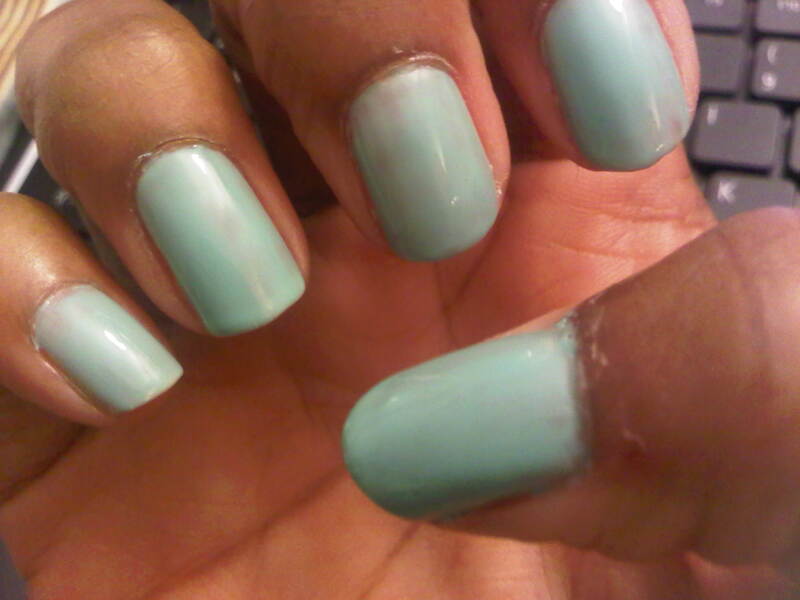 SMH I’m confused…regardless though I love this color. Let my stop rambling and show you guys what I mean…. 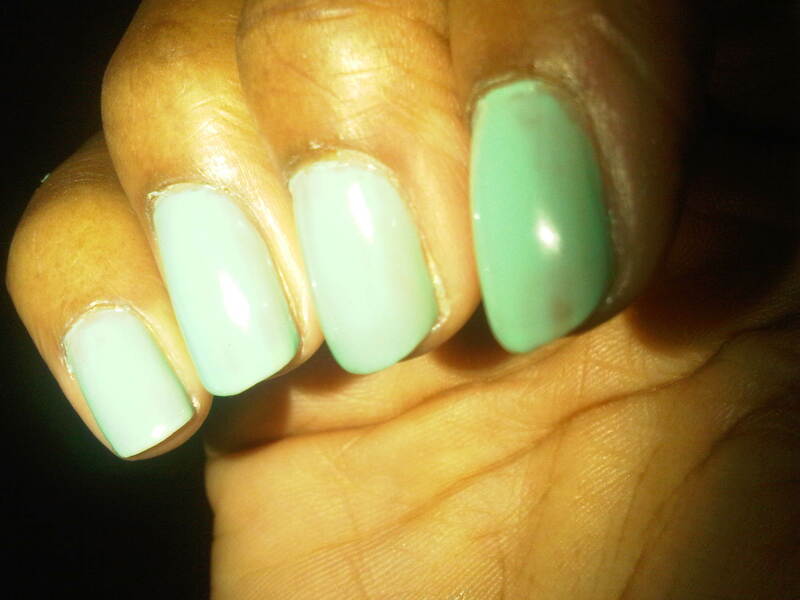 Love this polish even though I am not in love with the cost! 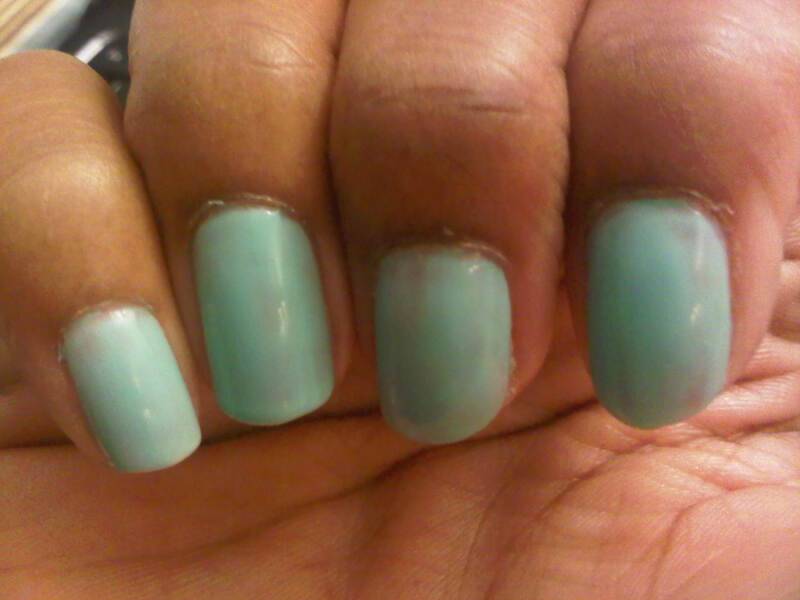 Do any of you own this polish? Is there anywhere you know of I can get Essie polishes for less? And for all those participating in the 31 Day Challenge: Is it like an unsaid rule that we can’t use patterns/designs until it is listed under the challenge? [example: If I want dots on my nails, do I have to wait until the polka dot day to do so?] Just curious. Any feedback would be greatly appreciated :)….